Why People Rarely Write Things Down ~ HELLO, my name is Blog! To write something down is to humble ourselves. That’s why people rarely do it. Writing things down means we don’t know everything. Or can’t remember everything. Or might learn something. Writing things down means we have to pause long enough to honor the moment and listen to people. 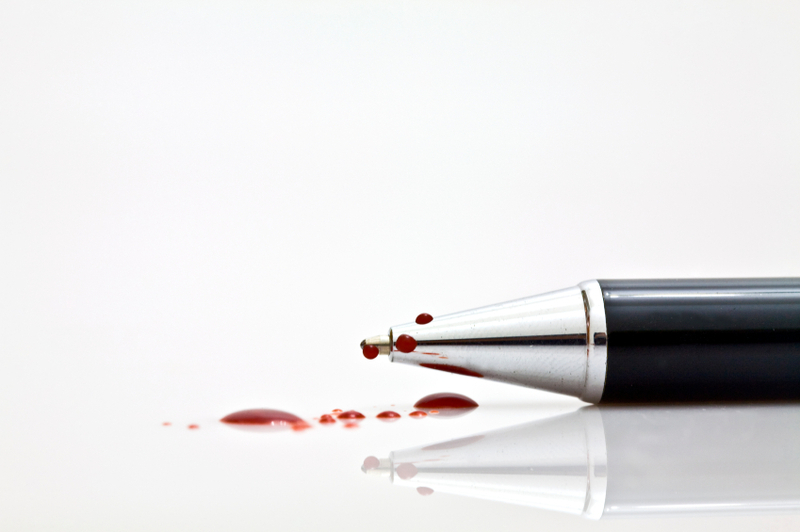 Writing things down means we have to confront our own beliefs and drip a little blood on the paper. Writing things down means we might have been wrong about something, and god forbid, might have to be open to an idea that makes us squirm. We convince ourselves that certain ideas aren’t important, aren’t worth remembering and aren’t worth documenting. And we move on. On the other hand, when we write things down, when we respect everything life has to offer and treat our ideas with deep democracy, even the ones that scare us, we start conversations that change the world. It’s not a pen, it’s a lever.